You may recall how NAMA sold its Northern Ireland €5.7million loan book – known as Project Eagle – to US investment fund Cerberus for €1.6million in 2014. 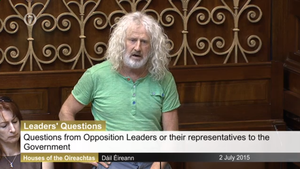 In July Independent TD Mick Wallace told the Dáil that £7million was found in an Isle of Man account following an audit of Belfast law firm Tughans – which was hired by New York legal firm Brown Rudnick to help Cerberus buy Project Eagle. Mr Wallace claimed part of that £7million was earmarked for a Northern Ireland politician or party. On foot of these claims, the UK’s National Crime Agency and the US authorities are investigating the sale. 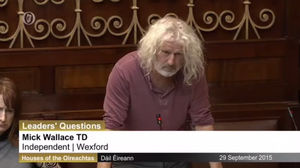 Readers will also recall how, yesterday during Leaders’ Questions, Mr Wallace told the Dáil that he was summoned to a meeting by a ‘public figure’ during which he was warned by a ‘leading member of Cerberus Ireland’ that he was ‘going to get sorted’. 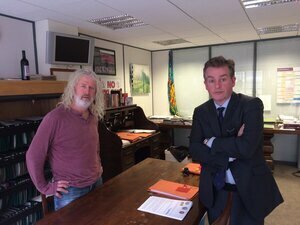 Taoiseach Enda Kenny told Mr Wallace to take his concerns to a member of the Public Accounts Committee. 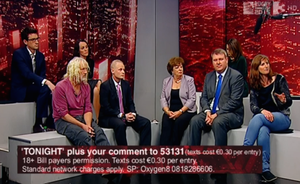 Last night, the matter was discussed on TV3’s Tonight With Vincent Browne. Project Eagle And The €3.5 Billion Haircut Where Eagles Dare ‘Cerberus Told Me I Was Going To Get Sorted’ Anything Good On BBC One Tonight? 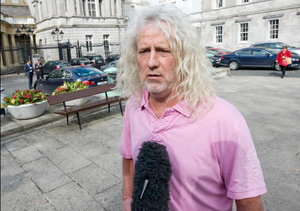 Posted in Misc and tagged Mick Wallace, Nama, Tonight with Vincent Browne at 10:05 am on September 30, 2015 by Broadsheet. it’s seems its ok to lecture about a culture of secrecy but also ok to not name people who you have made serious allegations about – even with Dail privilege? Yes. That’s the way of things here. Surprise! Also remember Catherine Murphy? Dail privilege ammounted to SFA when she dared mention Denis O’Brien. Could it be that Wallace is reluctant to explicitly name names? Since when did he become shy? He has Dail privilege for a reason. If he has relevant information on corruption, he can tell all in the Dáil and remain untouched, he can go the the Gardai (weather he likes them or not), Revenue, CAB or to other bodies in other jurisdictions who are authorized to investigate wrong doing. Instead, he’s on TV hinting at stuff. He should spill all if he’s got anything of substance. There does seem to be something funny going on but they’d all rather play politics with it than actually bring it to a head. It’s a good point. The cynic in me then has to wonder is it just more election bluster? I would have hoped he was above these antics. Confused millions and billions in the first paragraph. As we saw with the Eircode farce, many ridiculously lucrative consulting roles await those who “turn a blind eye” in Government roles. Therein lies the problem. NAMA was constructed to be outside the normal methods of scrutiny in a properly functioning democracy. It should be investigated for subversion of the state and the misappropriation of state assets. If you worked for a county council and sold off machinery to a buyer without a tender process and pocketed a fee for yourself, you’d be in jail pretty quickly.